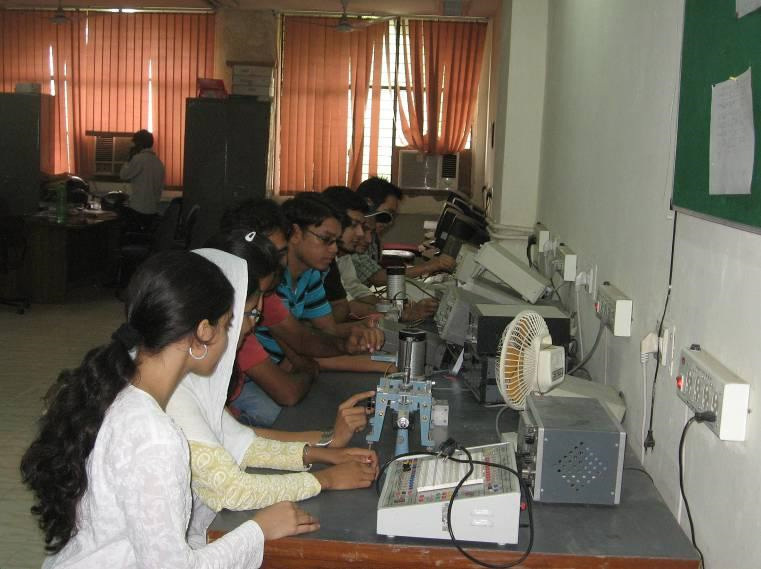 Students are introduced to the world of simulation of electronic circuits. Tool used is Pspice. The basic and universal gates and digital circuits using them like parity checkers/generators, multipliers, decoders etc. 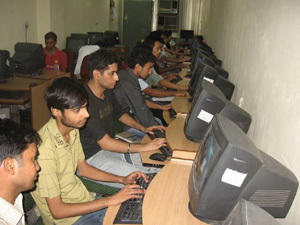 are tested practically. Analog circuits are implemented using ICs such as AD 844, IC 3900 etc. Modulation schemes like amplitude (FC, SC,SSB) and frequency modulation, FDM, etc. are performed using appropriate kits. 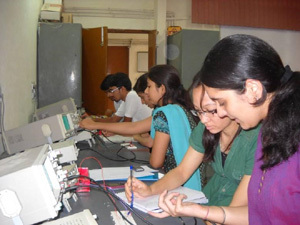 Various programs are made by the students using 8085 kits. Measuring instruments, bridges, sensors etc. are available for experiments. 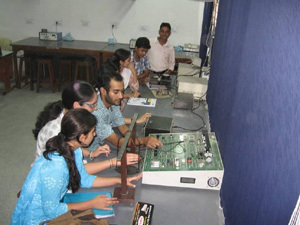 Latest apparatus for microwave and antenna experiments are provided to the students.